mazal (2 years ago) Inappropriate? mafiagore (3 years ago) Inappropriate? Terrific model, thank you so much. 68fordfalcon (7 years ago) Inappropriate? You can still see the influence from old horse carriages. Thanks a bunch! 3dwizzard (7 years ago) Inappropriate? Phyllis Diller used to ride in this old cars. She talks about it in the movie: Who Killed the Electric Car. Thank you! PS.I love your me-camera script. Have you ever updated it? Or have any plans updating it? current002000 (9 years ago) Inappropriate? 1910 Detroit Electric, nice. Didn't know people still thought about those old things, nice. Anthanasius (9 years ago) Inappropriate? Is it the Mr Pickwick car ? Nice ! Thank you very much! It's lovely. Thanks for this one. We need cars electric cars today ! About 10 minutes into the movie, as I recall. Includes sounds of door closing, tiller clicking, and motor, which might be usable in an animation. graykeeper (9 years ago) Inappropriate? One of life's ironies. 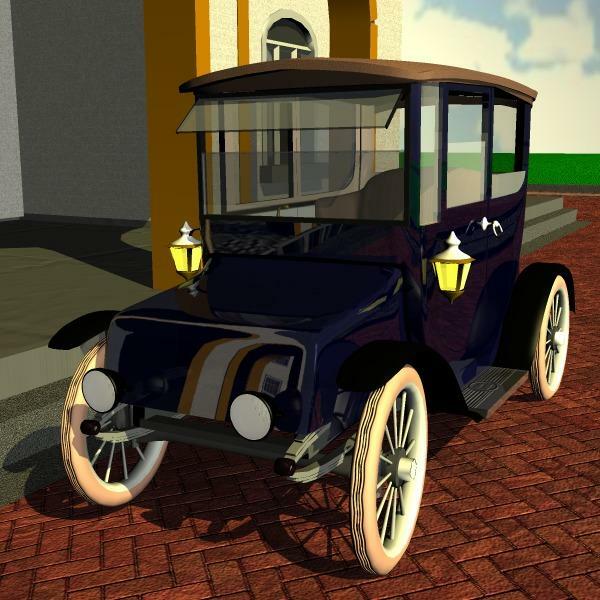 We could build an electric car 100 years ago but it's impossible today. Great model and reminder! wertu (9 years ago) Inappropriate? Very nice model. Thank you. All your stuff is great. Thank you. Route 66 part 4 - Wheeeee!